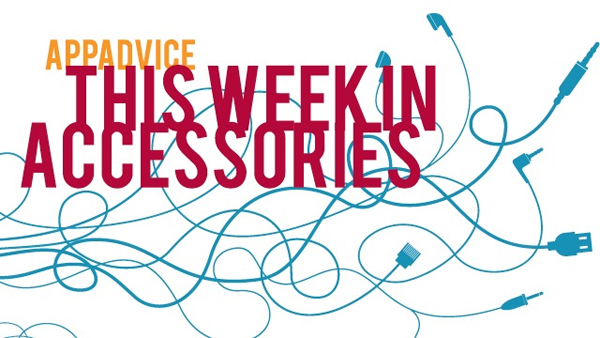 Welcome back to our weekly look at some of the newest accessories for your iOS devices. With summer almost in full swing, we’re featuring some perfect accessories for that long road trip and more. If you depend on your iPhone to help guide the way on the road, then take a look at Belkin’s new Car Charge + Navigation Mount. 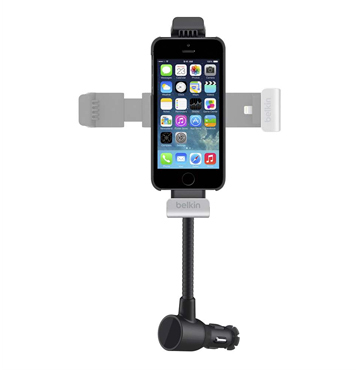 Designed for the iPhone 5s/5, the mount offers a built-in Lightning connector to keep your handset charged. The flexible neck allows users to place their phone at the perfect angle in the car. Drivers can also place their iPhone in both portrait and landscape orientation. The mount will also work with some cases that leave the speakers, Lightning port, and AUX connector fully exposed. The mount retails for $49.99 and can be purchased from Belkin’s site now. Never forget your headphones with the unique TurtleCell 101 case for the iPhone 5s/5. Highlighted by a built-in pair of retractable headphones, the case is only 7mm thick. The headphones also offer a microphone and full-button control for hands-free calling. When done with the headphones, snapping a switch places them back safely inside the case. The case can be preordered starting on Tuesday, June 3 from the TurtleCell site for $39.95. 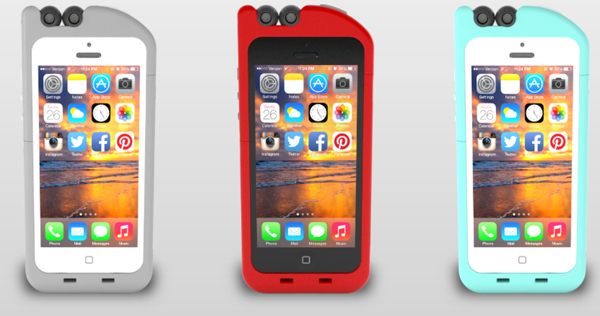 Buyers can select from a black, gray, red, or aqua case. All orders will be delivered in October. Griffin has recently announced an updated version of its popular AirStrap case for the iPad Air and iPad mini. The new case offers a rotating frame so users can find the most comfortable viewing angle with one hand while using the screen with the other. The interesting frame surrounds the outside of the tablet and doesn’t get in the way of any controls or ports. The one-size-fits-all strap is located on the back of the AirStrap. The iPad Air and iPad mini versions of the case can be ordered now directly from Griffin’s site. The iPad Air case is $39.99 while the mini version is $5 less. 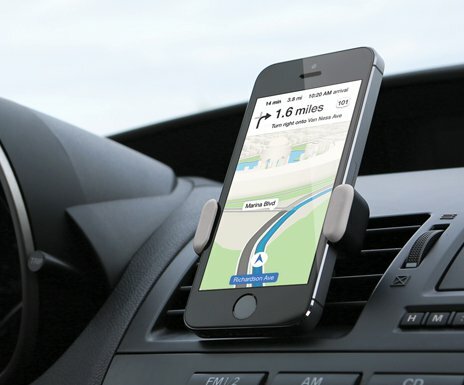 A simple car mount for your iPhone, Kenu has recently expanded its Airframe line to include a white version. Weighing less than an ounce and designed to be portable, the Airframe attaches to any air conditioner vent while the expandable jaw can hold most smartphones with up to a 5-inch screen. The new white Airframe retails for $24.95 and can be purchased from Kenu now. A black version is also available. 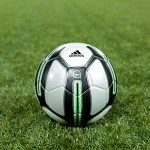 Get A Kick Out Of The New App-Enabled miCoach Smart Soccer Ball From Adidas The ball, available to purchase at your local Apple Store, features wireless charging technology and a number of sensors. The Twelve South HoverBar 3 Review Our own Bryan M. Wolfe takes a look at the newest accessory from Twelve South. Luggage Maker Samsonite Acquires Popular iOS Accessory Company Speck Speck is well-known for its CandyShell line of cases for the iPhone and iPad. Apple's 'iWatch' Can Only Be Superior To The Cogito Pop Smart Watch Is the Cogito Pop watch really all that smart?